Just a few more days until Halloween! Can you believe it? 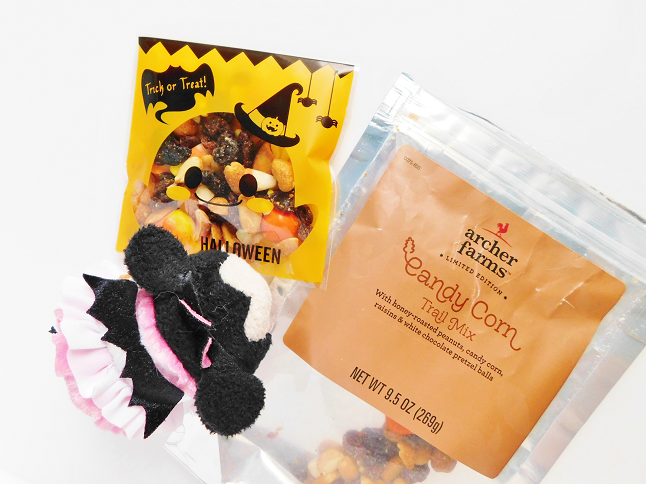 If you haven't done anything Halloween related then this post is for you. 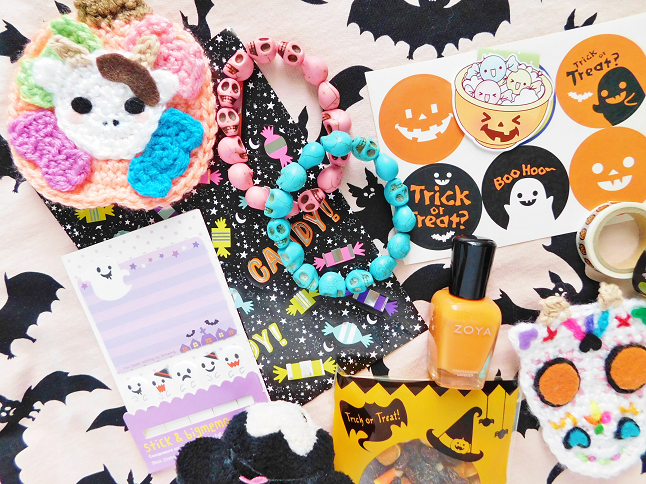 I put together a list of things that you can do to celebrate Halloween and get in the spirit! Starting off with the most obvious first, I mean who doesn't own a Halloween shirt or jumper? 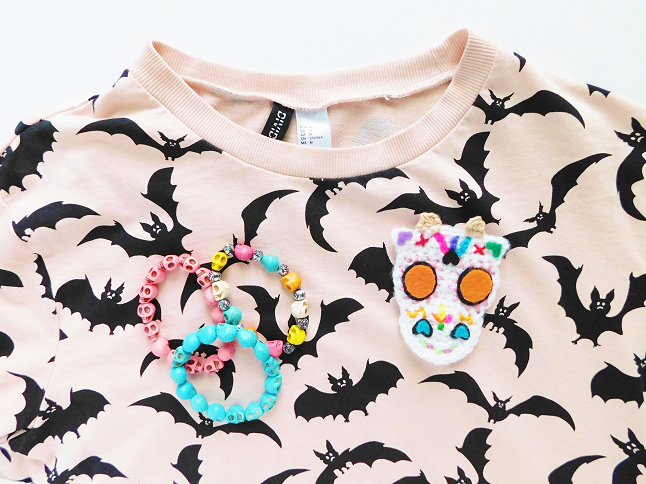 You guys have already seen my HM bat pullover because I've used it as a background in some of my Blogtober posts (I often use clothes as my blog backgrounds). 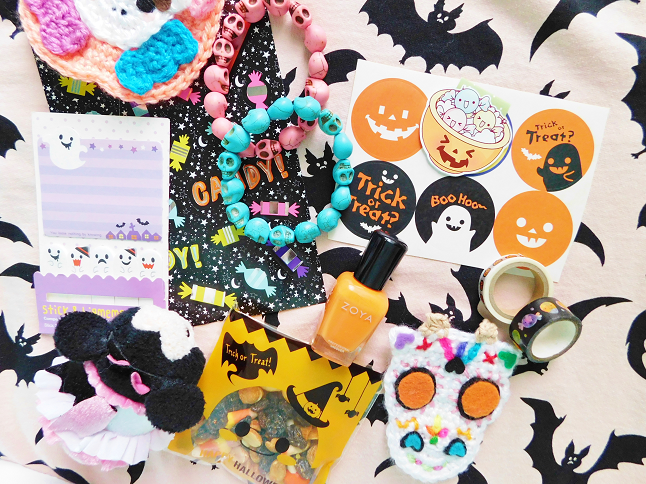 You can also wear some Day of the Dead themed accessories such as skull colored bracelets and handmade pins. As you guys know I'm a huge sucker for cute stationery but festive stationery makes a just as happy! 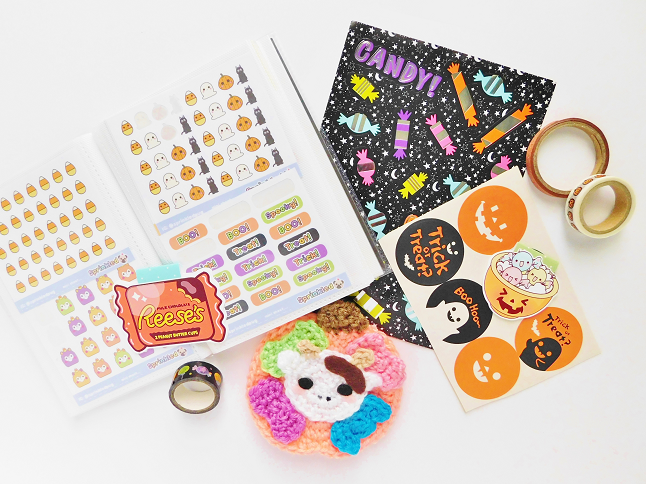 Whether you are a planner or not you can incorporate Halloween stationery into your daily life. 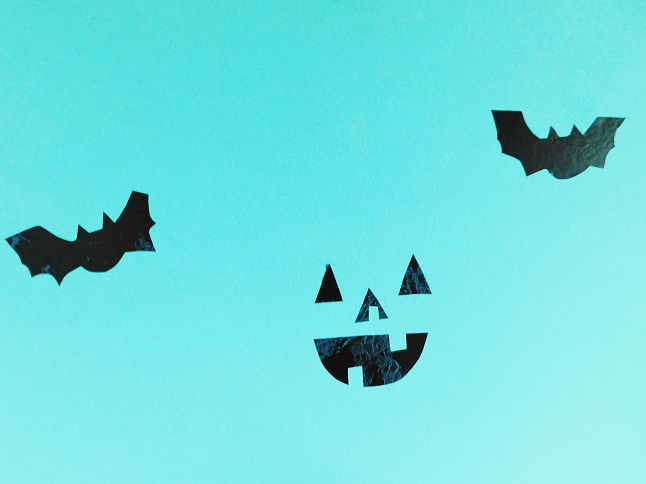 If you have any leftover wallpaper laying around you can create some Halloween decals and stick them all over your room. I have a roll of black marble wallpaper that I like to cut out shapes to decorate my room with. 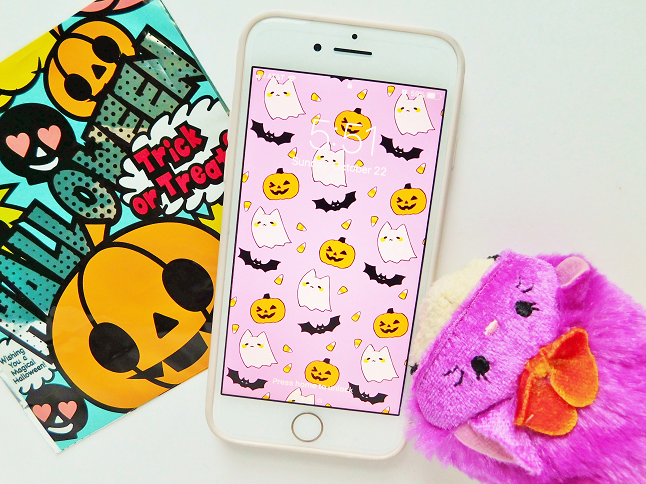 Covering your phone with a cute Halloween background is a subtle way to celebrate the holiday. I found this cute lavender background with pumpkins, ghosts, bats and candy corn! I also put a Halloween background on my computer and Nintendo DS XL. 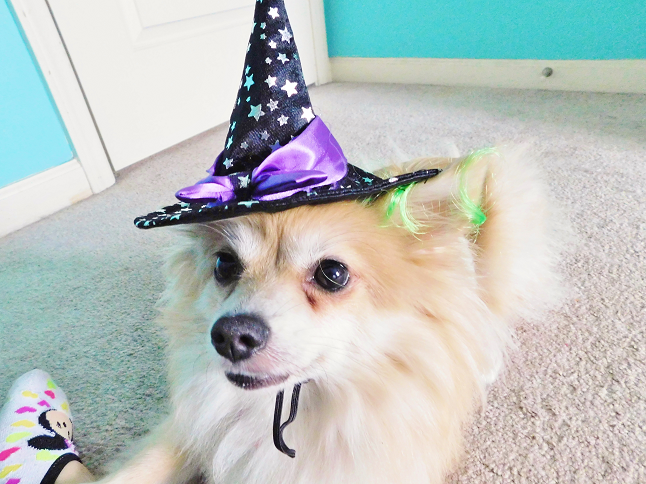 I love seeing pets dressed up in general but on Halloween, it's even better because you see these adorable furry ones in costumes! Lucy doesn't mind dressing up and actually sits down and lets me dress her up (she doesn't even do that for her harness when she wants to go on a walk!). She also has a pumpkin sweater that she can wear for the days leading up to the big event. Love this! So doable & not overwhelming/messy. Also I enjoy a more cheerful take on Halloween. Definitely gonna check out your playlists! That shade of Zoya nail polish caught my eye- didn't know they had it. THANK you!